IRCTC has begun with the best resourcefulness for the major issue of the hygiene for the toilet of the trains. Bio - Toilet is the major invention for the Indian railway which is started by the railway ministries. here are much more other initiatives taken by the government. Bio-toilets in composting toilets. It uses natureʼs decomposition process to reduce waste and convert it into nutrient rich compost. Composting toilets use bacteriaʼs. Bio-Digested is a petrifaction automate toilet system which decomposes Human Excretory Waste in the digested tank using specific high graded bacteria further converting it into methane and water, discharged further to the desired surface. 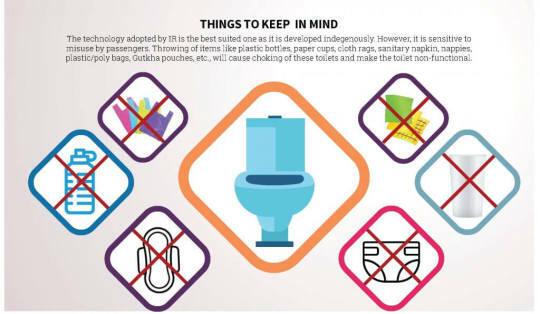 In the train toilets, the excreta is guzzled out with the use of minimum water (0.5 to 1.5 liters), and the waste hence collected is discharged in closed drains at railway stations. These Eco-friendly toilets intakes very less water as compared to the normal toilets used in our trains now. The toilets will also avert land and soil pollution of rail tracks, as no waste excreta thrown out. The bio toilet system make use of anaerobic bacteria which eats the waste material and transforms it into water and gas. 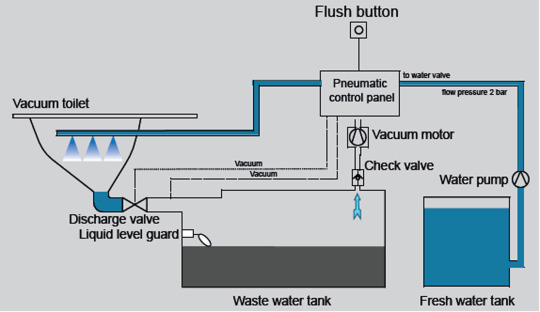 The water is passed through a chlorine tank and is discharged as clean water on the tracks, while the gas evaporates. The result – Human waste no more falls on the railway track with bio-toilets aboard and besides being a bio-friendly approach, the mechanism also eases the working condition for the railway track staff. some Rajdhani and Shatabdi trains also have Controlled Discharge Toilet Systems (CDTS). With the help of this system, disposal of waste at railways stations can be prevented as the waste is discharged automatically when the train gains a minimum speed of 30km/hour. Indian Railways has also been working with bio toilets. So far, 17,388 conventional toilets have been replaced with bio toilets and the plan is to replace 17,000 more by the end of this year. The countryʼs first bio toilet fitted train is Gwalior - Varanasi Bundelkhand express. Now with more motivational plans, Railways is planning to fit more than lac of toilets in 55000 trains by 2019. It is a major act done by the government to make the surrounding better. Railways have plans to set a target of increasing the use of bio-diesel and other natural resources for a green and Clean India. Water reserve and Green environment are the foremost benchmark of the Indian railways. Installing bio-toilets is one of the main milestone of Swach Rail– Swach Bharat programme. Until March 2016, bio toilets were set up in 35000 of the railway coaches. The human waste emptied on railway tracks corrodes the tracks. So this initiative will not only serve the purpose of clean Indian but also maintain the infrastructure of railways. 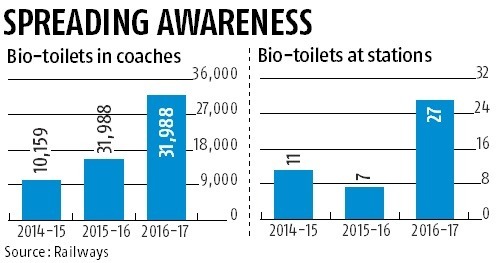 Way before the planned target for setting up 55000 bio-toilets was 2021 but now a fast progression is expected and it is believed that the target can be achieved in 2019. Efforts are in progress to even gather CSR funds from central government for this important work. According to one consultancy firm, Indian railways generate 6000 tonnes of solid waste on a daily basis out of which 4000 tonnes is directly dumped on tracks. So this initiative can make a lot of difference in Swachh Bharat Abhiyaan of the government. 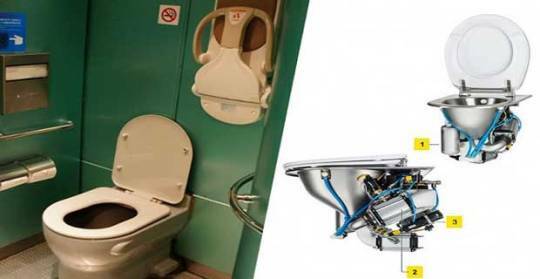 In 2014, Indian railways developed a bio toilet by collaborating with DRDO (Defense Research and Development Organisation). There is one initiative, which our citizen should also follow responsibly , that if the government is providing such a great platform for clean India movement then one must take care of the bio toilet system. It takes lots of prevention to maintain its mechanism.